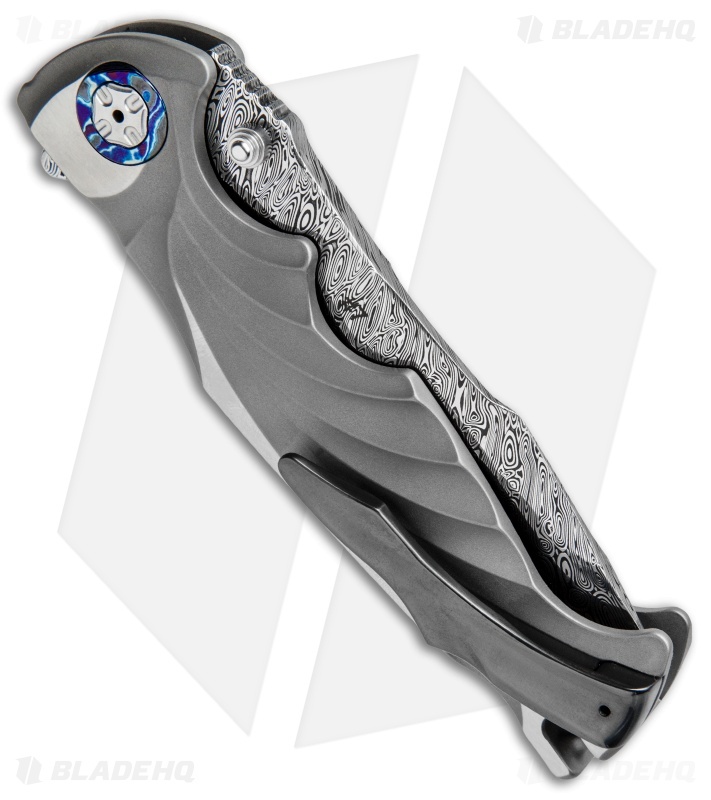 This custom Tighe Breaker folder features an integral, single piece fluted titanium handle with Tighemascus pivot collars and a zirconium pocket clip. 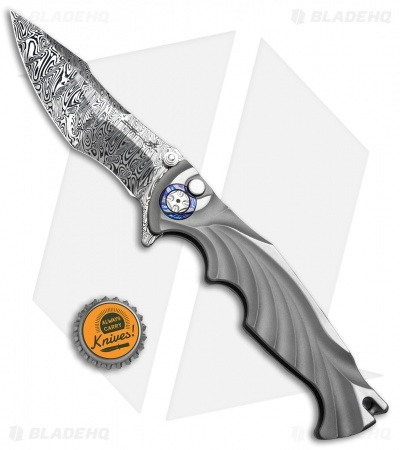 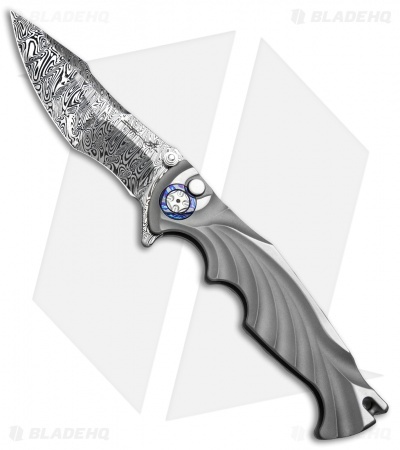 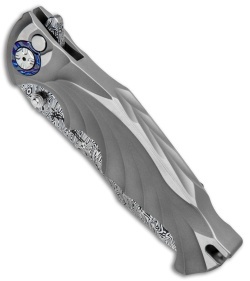 It has an appealing recurve Damasteel blade with a flipper and thumb studs for one-handed opening. This superb knife is yet another fine example of Brian Tighe's superb work.